David Weston Hermance was born in Danville, Indiana, on September 27th, 1947, to Keith and Peg Hermance. He earned a Bachelor of Science degree in engineering from the General Motors Institute, and joined General Motors in 1965, serving in a variety of roles in the Vehicle Emissions Laboratory for fifteen years. In 1985, he became the Department Head for Durability Test Development at General Motors. However, in 1991, he left General Motors, and joined the Toyota Technical Center in Gardena, California, as the Senior Manager in Engine Evaluation, with responsibility for evaluating North American passenger car engines. 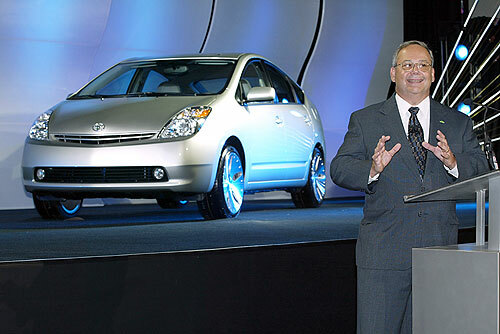 There, he became instrumental in developing a second-generation model of the Prius, Toyota’s popular gasoline-electric hybrid automobile. Married, and the father of two children, Hermance was also an avid amateur pilot. Since his father was a flight instructor, Hermance began learning to fly at 14, soloing at age 16, and earning his private pilot's license during college. He was a fixture in southern California aviation, regularly flying his Russian Yak-55 aerobatic airplane in aerobatic competitions. On the afternoon of November 25, 2006, Hermance took off flying solo into high overcast skies from Long Beach Municipal Airport in the single-engine experimental aircraft, a Russian-built Interavia E-3 experimental aircraft, registered as N4426X and owned by Yakety Yak Incorporated. He headed off shore to a practice area popular with local pilots, and began a series of loops and dives. At 1:18 in the afternoon, a pair of pilots on an instructional flight heard "Mayday, mayday, Experimental... X-ray… I'm going down." The flight instructor waited a few seconds and then asked the sender to report his position, but got back only a garbled response. At the same time, witnesses from the beach saw the unthinkable. "I was thinking he'll come out of the loop, but he continued straight down," eyewitness Ed Storti said. "He went beyond my eyesight, and I heard a loud impact that I will never forget ... It was just like hitting a stone wall." "The plane was coming straight down, like it couldn't pull out of a steep dive, and it just hit the water," a witness, Rick Wadlow of Palos Verdes, told the local ABC affiliate news reporters. 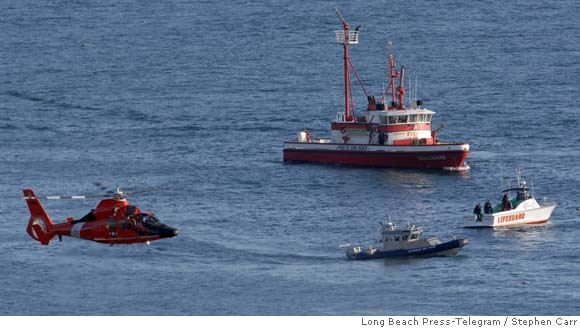 Divers from the Los Angeles County Fire Department, using sonar equipment, located the wreckage of the aircraft, at a depth of about 70 feet below the surface, and videotaped it to assist the National Transportation Safety Board’s investigation of the crash. A search team found the wreckage in 60 feet of water the following morning, according to authorities. A lifeguard found Hermance's body, floating on the surface near White Point. He had bailed out of the falling plane, and his parachute had been deployed, but failed to spare his life. The NTSB determined the probable cause of the accident to be loss of control for undetermined reasons.